Sangita ‘Soni’ Sinha is an artist, writer and producer at GAUNT FILMS. 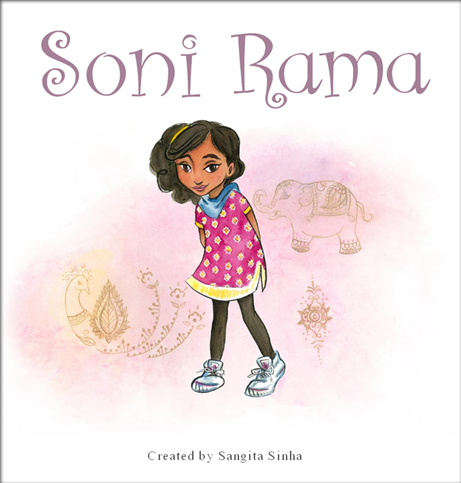 She is the creator of SONI RAMA, a children’s book and animated television series being developed at GAUNT FILMS. The story follows a curious Indian American girl as she travels the world discovering and interpreting the wonders and oddities of life. Ms. Sinha recently served as Co-Producer and Production Designer for the award-winning short suspense thriller RED MAZE about a struggling boxer who makes an ill-fated decision in an attempt to provide for his family. RED MAZE won a ‘Silver Remi Award’ in the suspense/thriller category at WorldFest Houston, won Best Horror Film at the NCCC Film & Animation Festival and has been selected to premiere on Robert Rodriguez’s El Rey Network as part of ‘The People’s Network: Suspense Edition’ later this year. She also co-produced the short sci-fi thriller DAYS END, about an impending apocalyptic event that alters a young man’s outlook on life. As an artist her paintings have shown in galleries across the country including Chicago, New York and Tulsa. Her work can be seen at www.sonisinha.com.